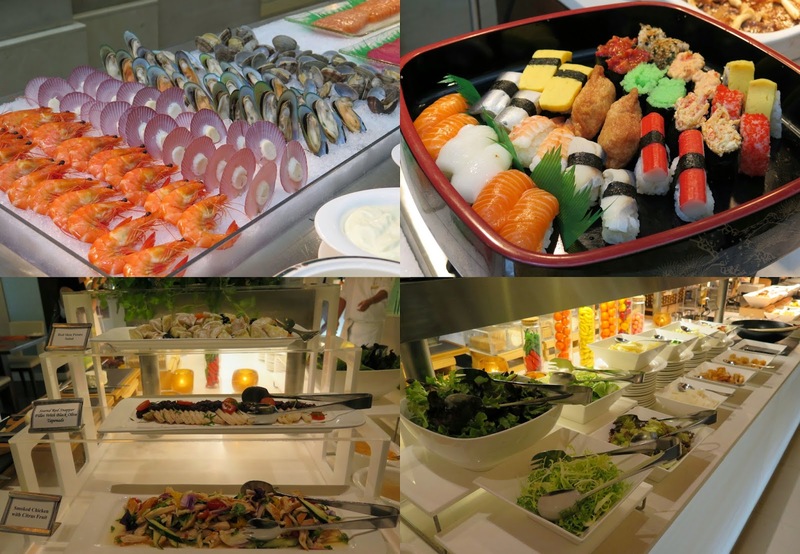 Most people see buffets as a chance to try a variety of dishes at once. 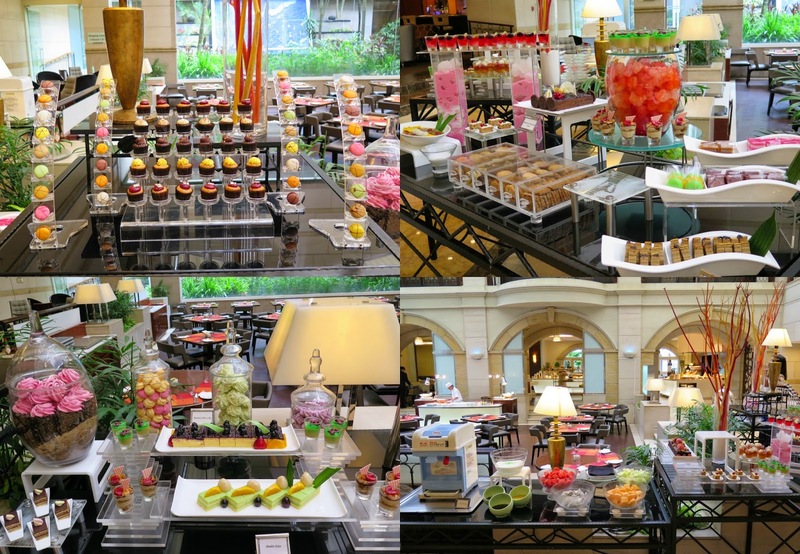 I like the idea of being spoilt for choice, so sometimes I may indulge myself in buffet spreads during weekends like this. Set within the beautiful and airy atrium of Grand Park City Hall, Indulge at Park offers two weekend buffets at a cost-conscious value starting with the Long Weekend Tunch served every Saturday and Sunday afternoon from 12pm to 3pm at $45++ for adult and $22.50++ for child under 12 years of age. 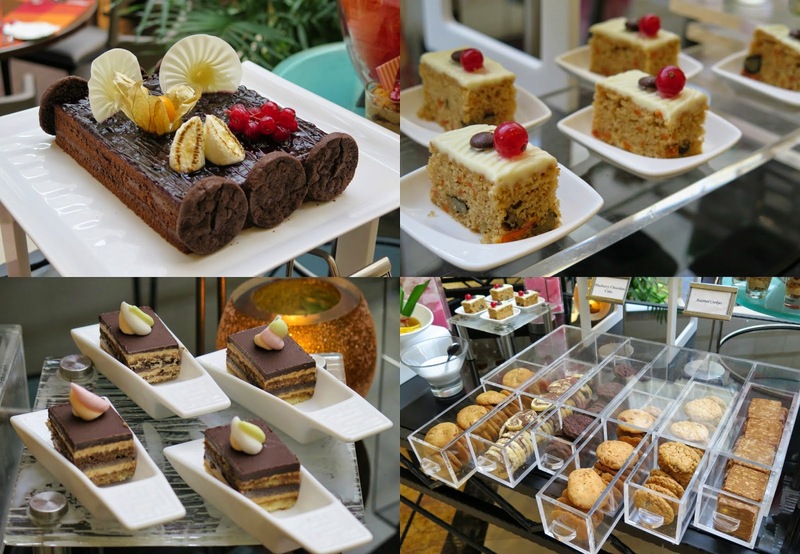 Much like any buffet, the Long Weekend Tunch is divided into sections beginning with the dessert area at the sunlight filled atrium, and a spread of Continental, Asian and local specialities at the main restaurant dining room. 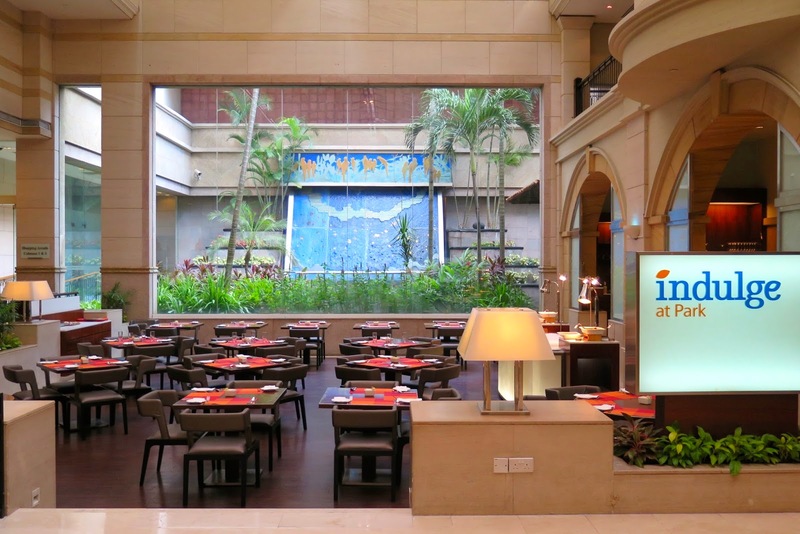 Diners will find a seafood station, an Asian station (Japanese sashimi & sushi) and a salad bar with a nice selection of artisanal cheese, breads and soup. The aptly named Tunch encompasses both lunch and tea favourites serving meat dishes such as Hong Kong roast duck and pork, braised chicken, grilled satay, assorted Dim Sum, Penang Rojak, Kueh Pie Tee and must-have regional Asian dishes such as the Tianjin pancake roll, a popular street food in China featuring a delicate crepe roll with Peking duck sauce, chilli bean paste, fermented tofu and crispy fried dough stick. The Long Weekend Tunch has a traditional Chinese porridge section, offering a Teochew style congee or Sweet potato porridge accompanied with ten condiments including deep-fried anchovies, pickled and preserved vegetables, deep-fried dough stick, century and salted eggs, and a variety of sides, as well as other cooked dishes. 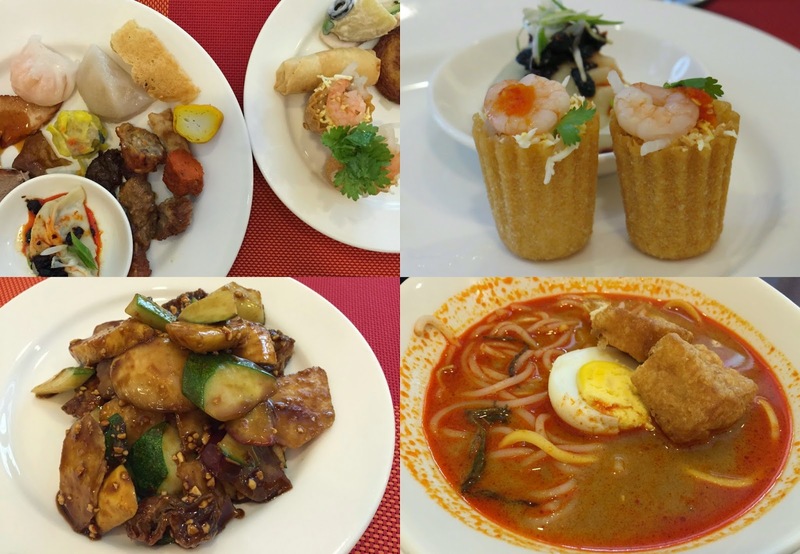 Don’t miss out the Chef’s special Penang Assam laksa, Indian and Thai style curries, Roti John and save room for the massive dessert selection. 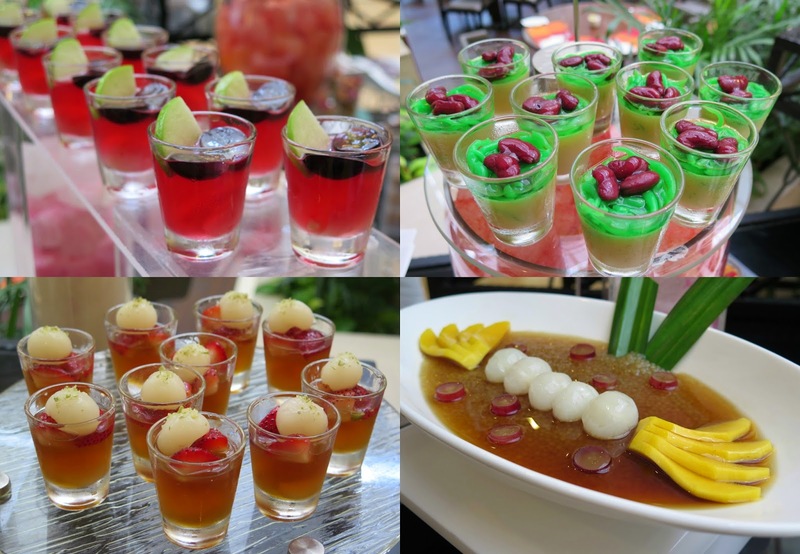 If sweet desserts treat is your fantasy, you will enjoy endless servings of classic cakes and pastries, macarons, cookies, Nonya kuehs, jelly shooters, fruits, durian pengat and even a do-it-yourself (DIY) Chendol station. The highlight of the Long Weekend Tunch is the wide selection of foods served, make sure you taste a little of everything. Fresh succulent seafood and meat such as local lobsters, scallops on shell, tiger prawns, Spanish pork belly and US beef flat rib are just some of the highlights to look out for at the live grill station outside the garden courtyard (Asian BBQ). Diners can customise their seafood and meat from the selection of sauces and seasonings available at the station. 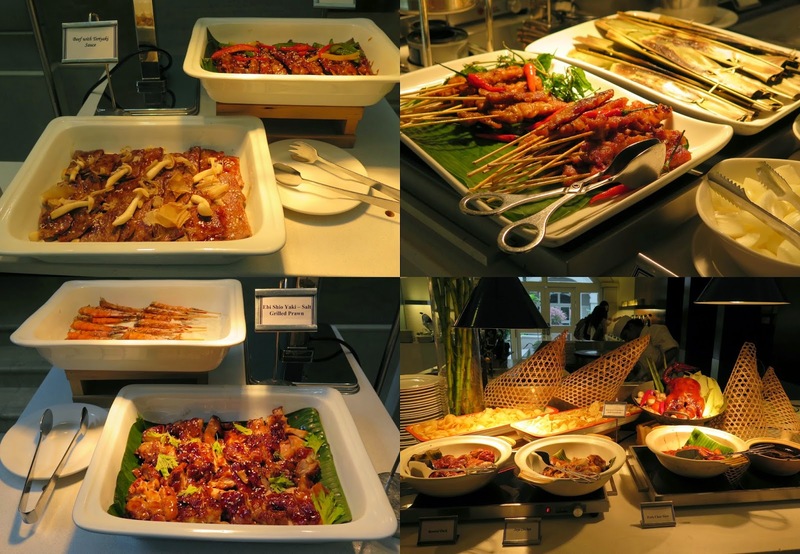 There is also a line-up of ready-grilled items at the buffet section to pick up including Grilled lobsters with sambal chilli butter, Scallops with Tom Yam butter, Homemade John Dory Otak Otak, Tandoori grilled tiger prawns and Beef burgers with gratinated cheese. The Asian BBQ is available every Friday and Saturday evenings from 6:30pm to 10:30pm at $62++ for adult and $32.50++ for child. 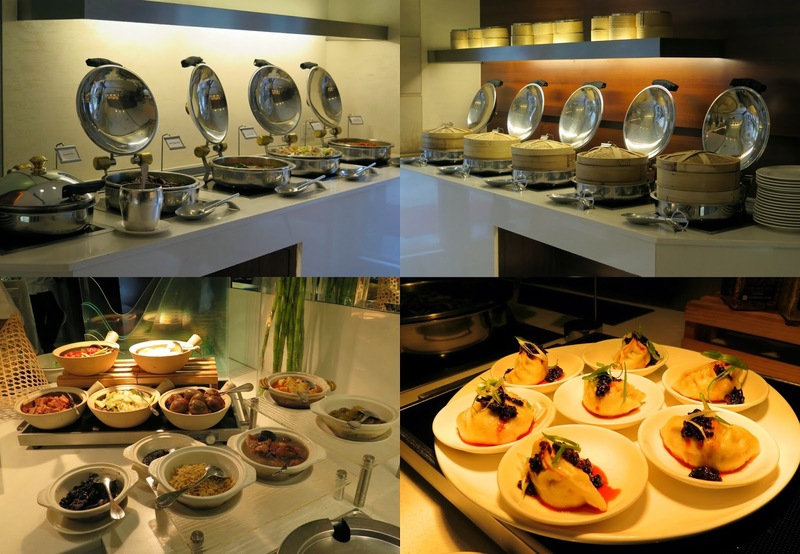 Both scrumptious weekend buffets are available from now till 28 September 2015 and reservations can be made through (+65) 6432 5888 or fhb.gpch@parkhotelgroup.com.